The Justice League is on the cover of the November 2, 2017 issue of the Japanese Taiwanese magazine "MiLK". 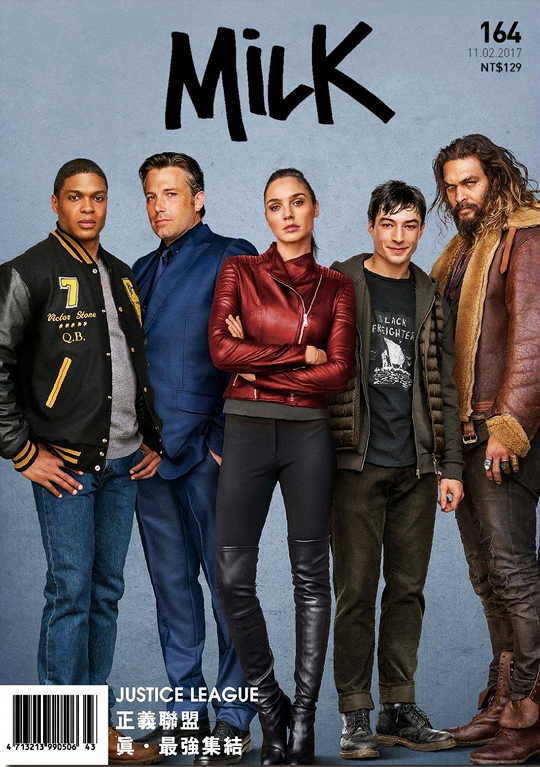 We get a new look at Wonder Woman (Gal Gadot), who is front and center, along with Cyborg (Ray Fisher), Batman (Ben Affleck), The Flash (Ezra Miller), Aquaman (Jason Momoa) in their civilian identities. Victor Stone, aka Cyborg, is wearing his old quarterback jacket. Bruce Wayne, aka Batman, is wearing a tailored suit. Diana Prince, aka Wonder Woman, is wearing a jacket and thigh high boots. Barry Allen, aka Flash, is wearing a t-shirt and jeans with a cool Watchmen reference. 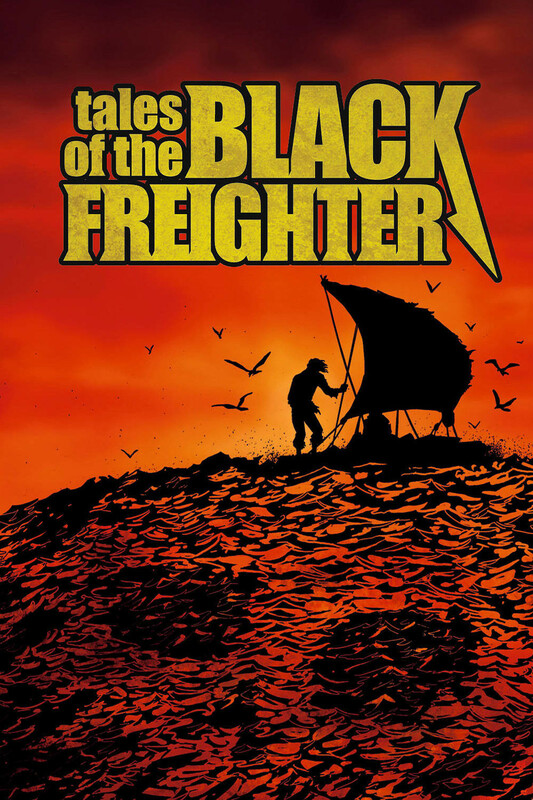 It has a picture of "Tales of the Black Freighter" which was the fictional comic book one of the characters was reading in the comics. Meanwhile Arthur Curry, aka Aquaman, is wearing his Arctic outfit. 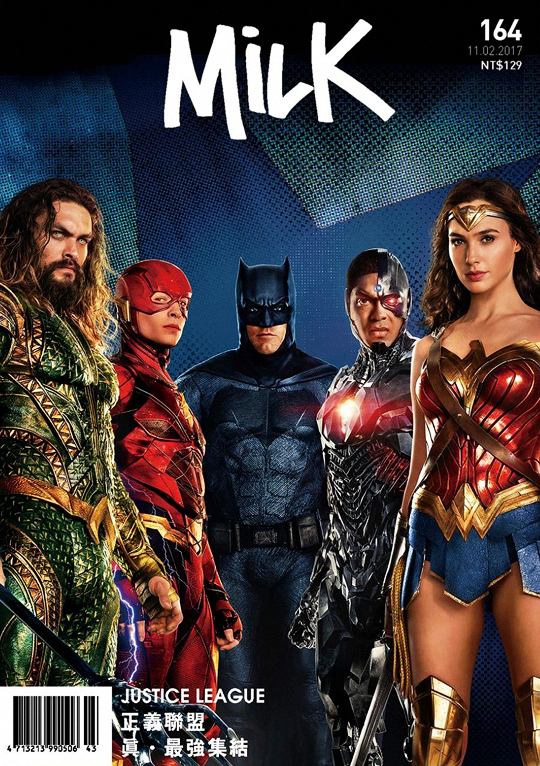 The alternate cover features the team in the uniforms we've seen before in the trailer with Aquaman wearing armor. Of course, the missing member of the team is Superman, but Warner Bros is continuing to hide him from marketing since he's still "dead". Official Synopsis: "Fueled by his restored faith in humanity and inspired by Superman’s selfless act, Bruce Wayne enlists the help of his newfound ally, Diana Prince, to face an even greater enemy. Together, Batman and Wonder Woman work quickly to find and recruit a team of metahumans to stand against this newly awakened threat. But despite the formation of this unprecedented league of heroes—Batman, Wonder Woman, Aquaman, Cyborg and The Flash—it may already be too late to save the planet from an assault of catastrophic proportions." The Justice League cast includes Ben Affleck as Bruce Wayne / Batman, Henry Cavill as Kal-El / Clark Kent / Superman, Gal Gadot as Diana Prince / Wonder Woman, Jason Momoa as Arthur Curry / Aquaman, Ezra Miller as Barry Allen / Flash, Ray Fisher as Victor Stone / Cyborg, Ciarán Hinds as Steppenwolf, Amy Adams as Lois Lane, Willem Dafoe as Nuidis Vulko, Jesse Eisenberg as Lex Luthor, Jeremy Irons as Alfred Pennyworth, Diane Lane as Martha Kent, Connie Nielsen as Queen Hippolyta, and J. K. Simmons as James Gordon. Check back for all the Justice League movie news, posters, trailers and hype on The Geek Twins! Are you looking forward to "Justice League" (2018)? What do you think of the cover? Are you looking forward to Justice League? Aqua man looks the most imposing in both shots. I love that they are going all out with promotions. As well as Wonder Woman did, this film is sure to be a huge hit. I'd go for Jason Momoa alone.